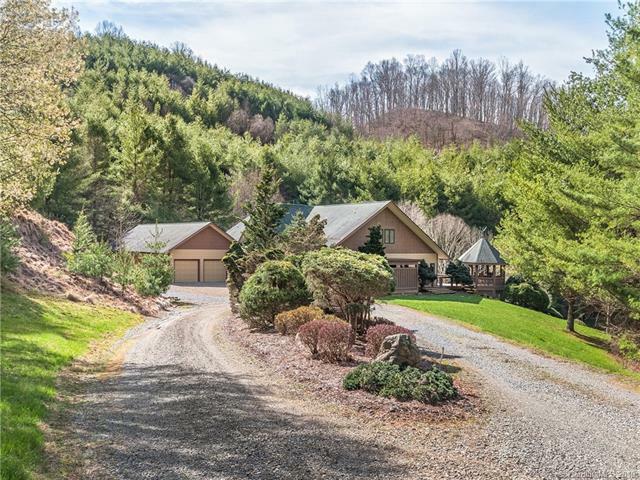 Take a ride through green valleys and mountain coves to this estate perfectly cradled on 24+ acres overlooking Cold Mountain. Strong spring, bold creek, and recirculating pond offer year-round water features. 2BiG Rig friendly full hook up RV sites with 50amp power. 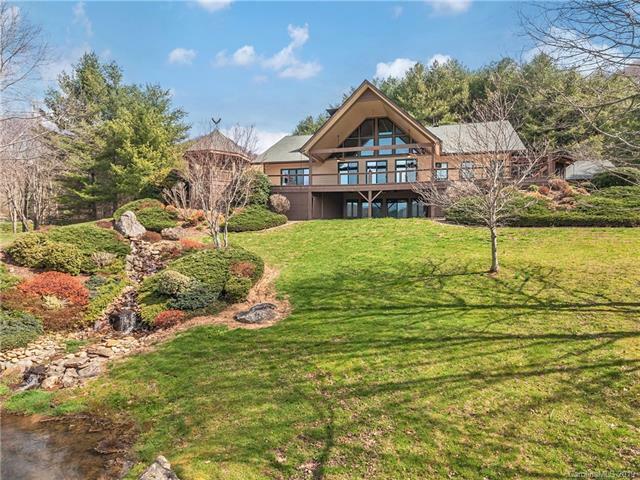 Trees bathe the wide decks with peaceful privacy. Rain chains with underground drainage, chefs kitchen, and Swamp Pine Cyprus flooring. The Great Room features a floor-to-ceiling stone fireplace, tongue-n-groove vaulted ceilings, french doors to the deck. Master suite with private patio, deck access, walk-in closets, and exquisite private bath. Large basement with tall ceilings and generous loft offering plenty of work and play space. Acres of mature pines can be harvested for income. Separate apartment suite with private access. Country clubs, galleries, fine dining, and live entertainment make up only a few of the countys services. 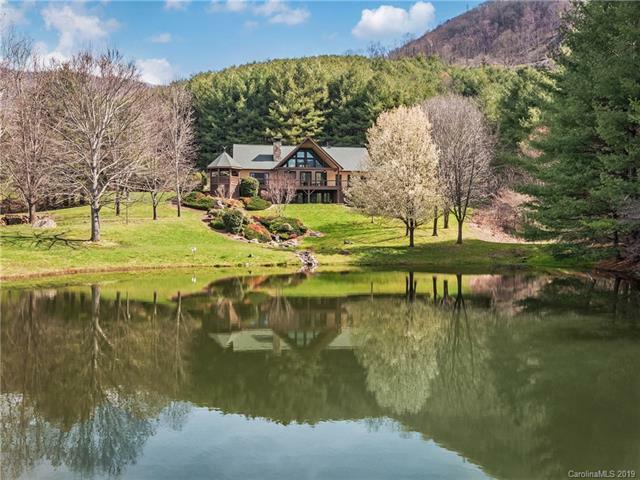 This is the perfect mountain getaway so many long for. 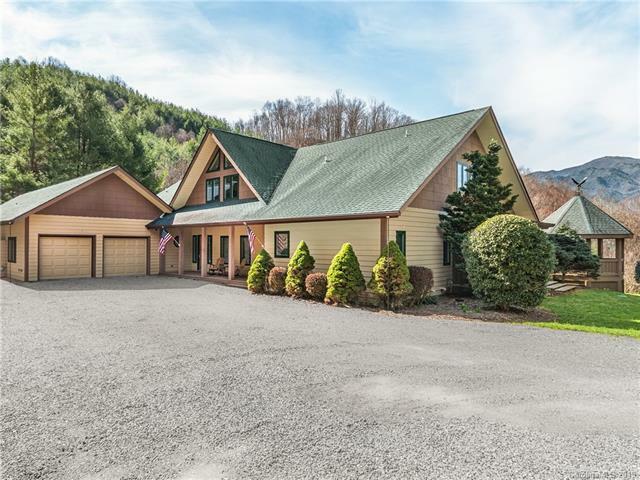 15 minutes to downtown Waynesville.